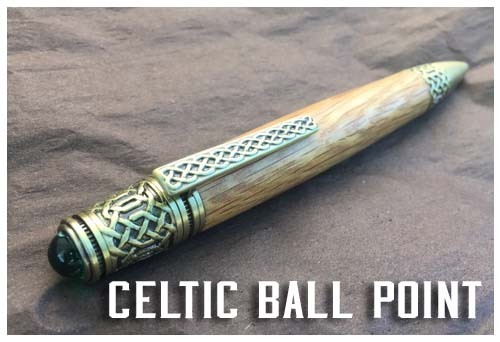 The Celtic design is stunning. 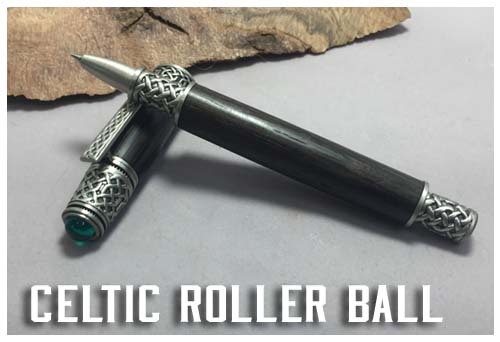 Both versions have a green jewel in the cap, and antique pewter hardware. 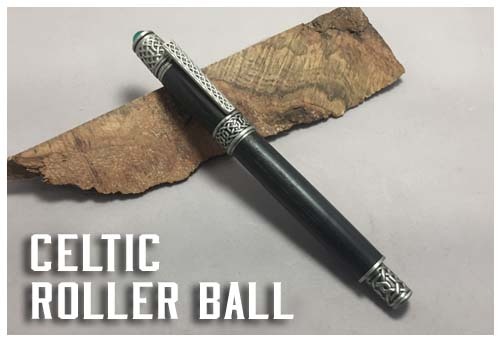 The Rollerball version has a magnetic cap, and the ballpoint version has a twist finial and a Parker refill. 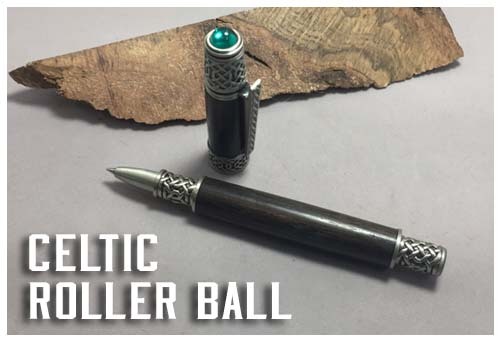 The design of the rollerball is "postable," which means the cap magnetically snaps onto the back of the pen while writing for storage and balance. 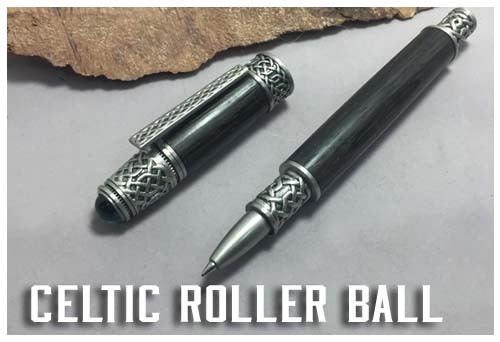 It uses a premium rollerball refill.